Mozilla has just dropped version number 22 of its popular Firefox browser and with it, brought a whole host of new and exciting features. Included in this release is support 3D gaming, video calls, and file sharing, affording developers enhanced compatibility with less requirement for plugins and other unnecessary third-party installations. Further details, as well as information on how you can get the latest version of Firefox, are coming up right after the break! With these regular release cycles Mozilla has been rolling out for Firefox over the past couple of years in order to keep the browser fresh and competitive, we’ve become accustomed to number releases delivering rather minor alterations. While, to the end user, that would seem to be the case here once again, this new support for 3D gaming and such will certainly benefit the consumer in the long run. With Google’s Chrome still making good headway in the browser game, Mozilla’s resolve has certainly been tested to the limits, but the company has kept fighting and continues to push updates on what is still to be considered among the best in the business. 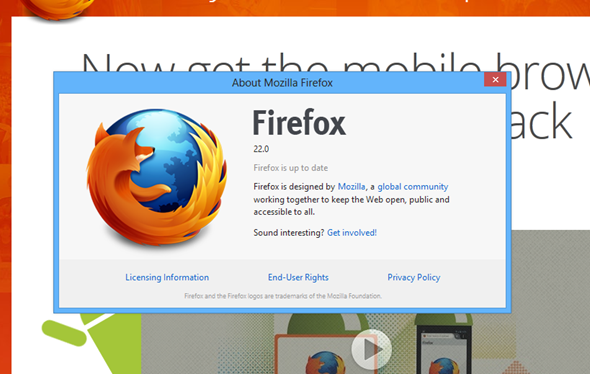 There’s no doubting that Firefox 22 is, by and large, a dev-centric release aimed at making things just that little bit easier for the development world. With that said, these changes will be crucial in helping Firefox continue to improve and evolve, and with WebRTC and asm.js support now at the heart of the process, Firefox is very much in the here and now. Notably, Google began integrating WebRTC, or Web Real-Time Communications, back in October of last year, but with preliminary testing having begun with Firefox version 18 beta, the feature is now apparently ready. 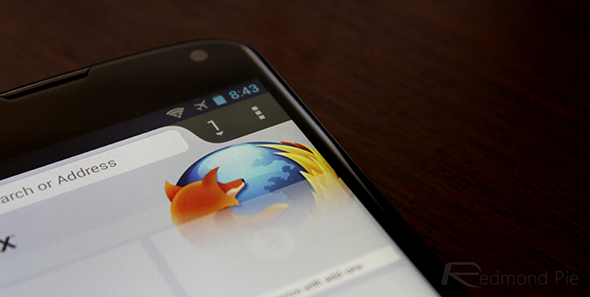 It will, according to Mozilla, “integrate seamlessly with a users’ mobile phone and make voice or video calls and share files,” and with Web chat services has popular as they’ve ever been, this is a milestone in the timeline of Firefox. 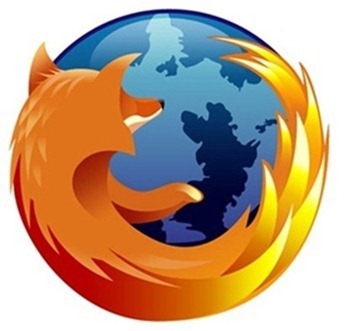 As well as keeping regular updates for Windows, OS X and Linux, Mozilla has long since been maintaining a focus on the mobile game, and as such, Firefox for Android has also been bumped. The new features should work for the mobile iteration as well as the desktop versions, although Firefox for Android does note in the change log that new version doesn’t include WebRTC or asm.js support just yet. You can grab Firefox 22.0 right now from: mozilla.org and also, the Android version of the app has also been bumped up to version 22, which you can grab right now from the Google Play Store.